KYLE TAKACH is a junior at Newton South High School. He has been playing the clarinet since 4th grade and specializing on the bass clarinet since 6th grade. Kyle loves all kinds of music, but especially classical music and plays in several ensembles at his high school, the New England Conservatory and Powers Music School. 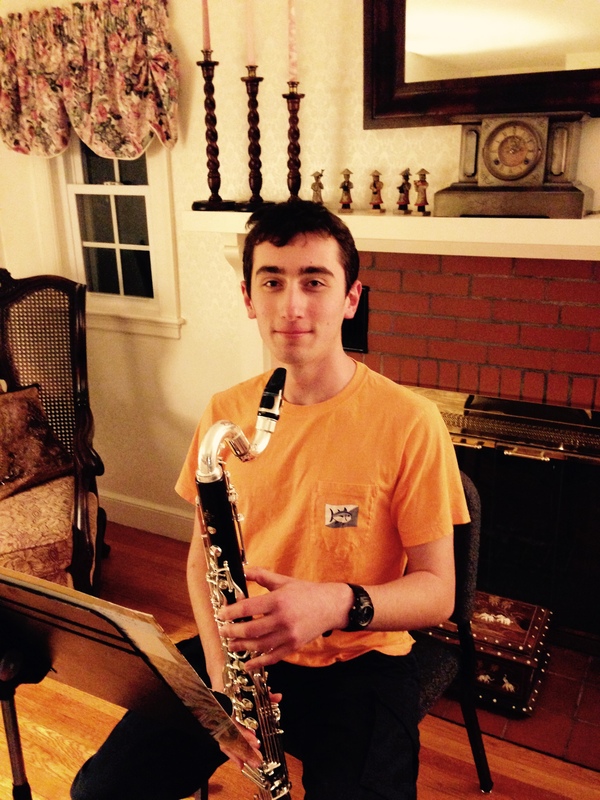 He also participates in the Senior District and All State music festivals for Massachusetts. Kyle plays tennis and enjoys all activities outdoors including biking and gardening as well. Kyle is a member of the Center for Development of Arts Leaders (CDAL) in Boston.